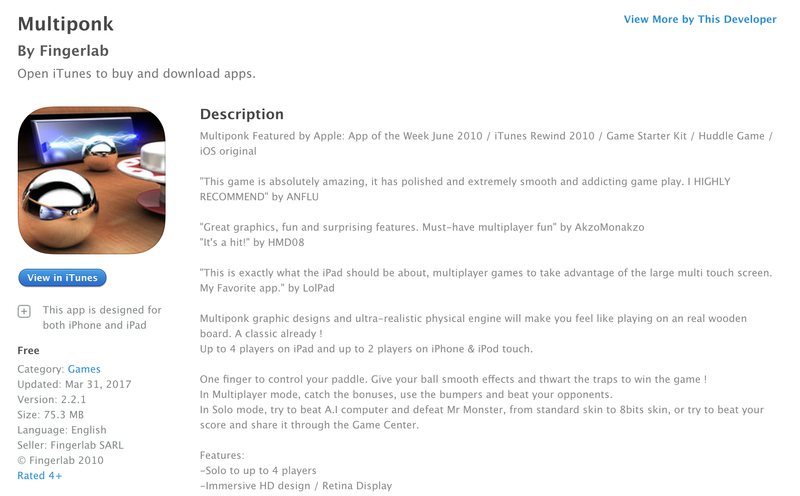 Multiponk for iOS is now available for free. Regular $2, this is the first time the game has been offered for nothing since 2014. It carries a 4+ star rating from over 5,400 gamers.